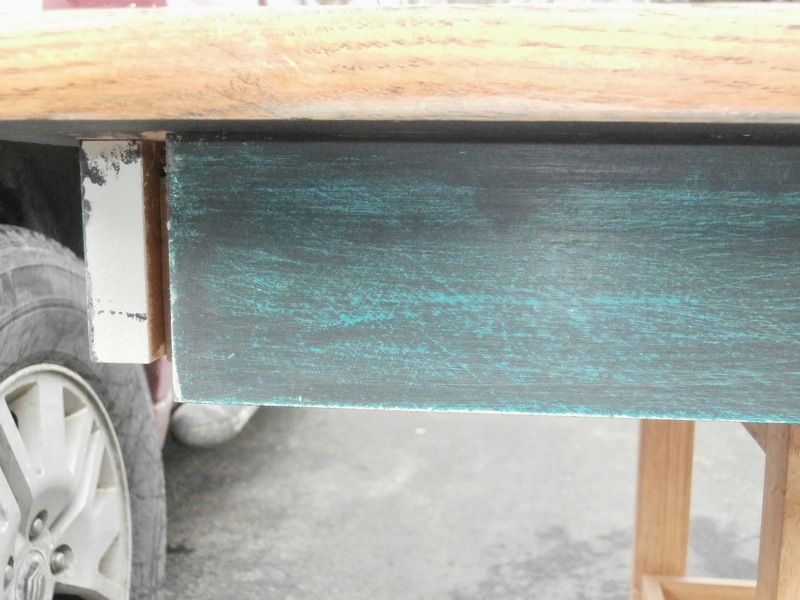 I sanded the tabletop lightly just to take the finish off. 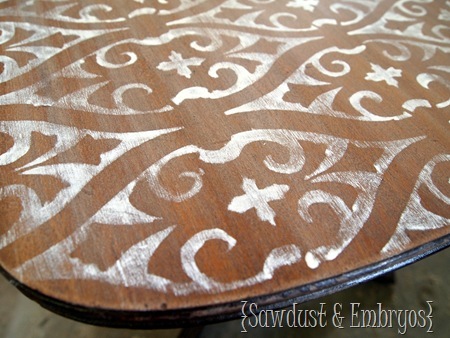 I then found the middle and began stenciling with a mix of Annie Sloan’s Old White and French Linen Chalk Paints. 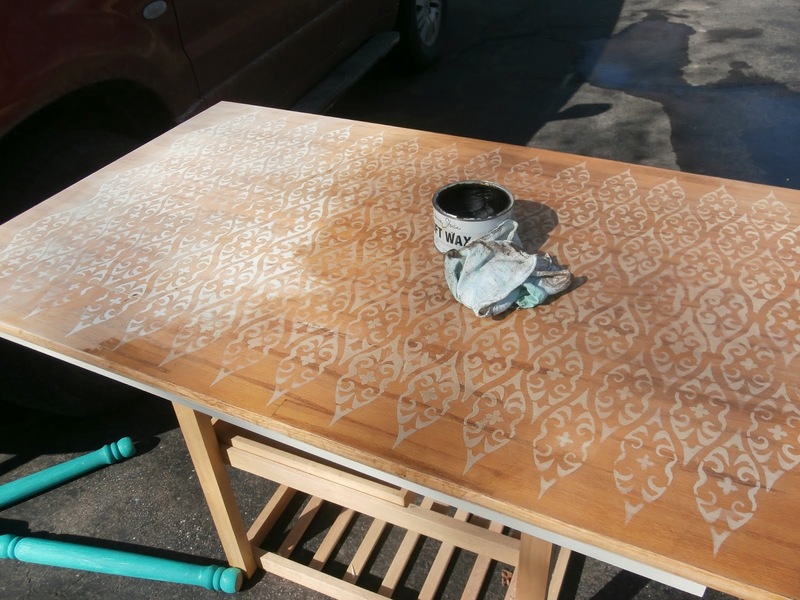 The stencil has to go on in stages because you don’t want to smear your paint. I did not stencil right to the edge because I wanted to bring out the design. 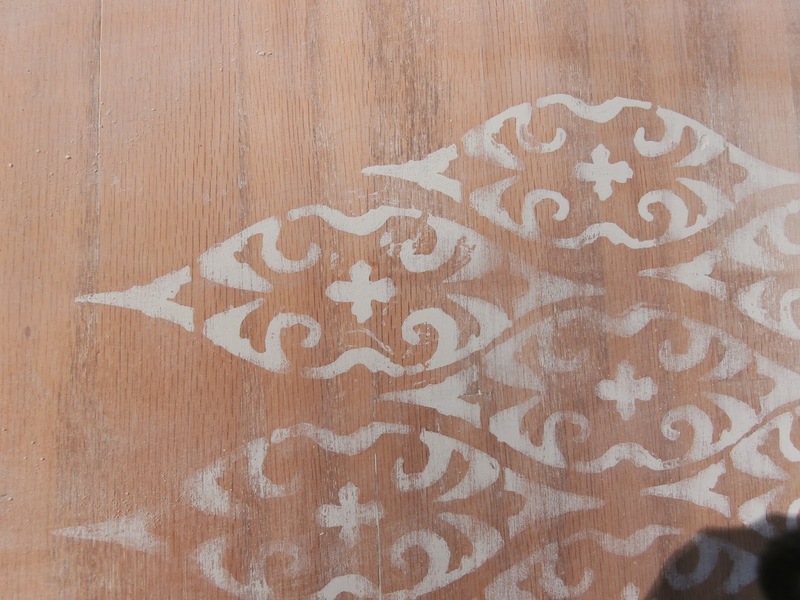 After the stencil was complete all over the top I lightly sanded the top to give it a worn look. I took it outside since it was almost 50 degrees yesterday. 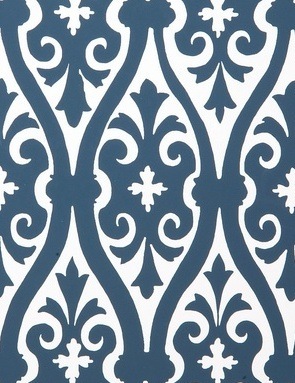 (hard to believe since we are having a blizzard right now) I used Annie Sloan’s Dark Wax on the top and buffed it. Then (this is usually not the order of things) I applied clear wax. Normally this would lift the dark wax, but in this case the dark wax has penetrated the wood like a liquid stain. It might lift little off the painted areas but not much. I painted the skirt and legs with Florence Chalk Paint then Graphite. (notice they match Rebekah’s legs) I sanded through the Graphite showing the Florence. Then clear waxed those parts. Now I just need to but screws for the legs!